"Is there any future in computer programming? Aren’t all those jobs overseas now?" I smiled as an earnest young mother asked me this question at a recent convention. I’ve heard this question many times over the last few years and my answer is always a resounding "No!" Despite what most people believe, outsourcing has not killed the computer job market. 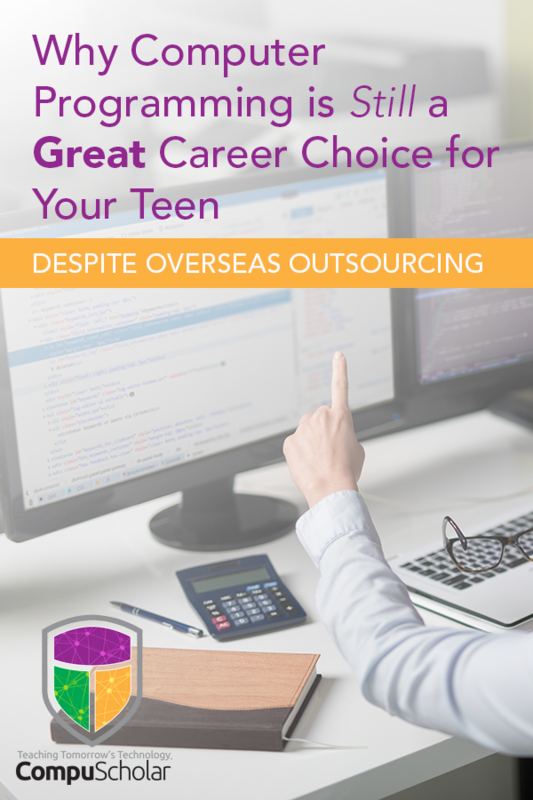 Oh sure, some companies use overseas help in different areas, but a great many computer programming jobs are still around locally. It’s simply too difficult for most companies to manage the complex process of software creation over long distances. As a long-time software engineer, I have observed a lack of quality candidates first-hand. Jobs often go unfilled for long periods of time because companies simply can’t interview enough people who qualify. I get calls every month from recruiters who still have my 15-year old resume in their database from the last time I was looking for a job. Anecdotes aside, the statistics show that roughly 50% of all software outsourcing projects are failures, and those that do succeed offer only modest 25% cost savings. That’s a huge risk for minimal return. 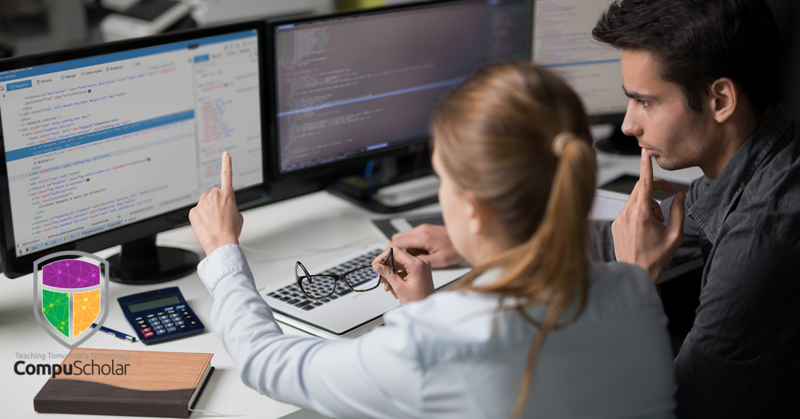 The US Bureau of Labor Statistics reports that one of the fastest growing occupations over the next 10 years is software development, with a projected 30% growth in the job market. The US Dept of Commerce projects that nearly 3 out of 4 new science and engineering jobs in the US will be in computing. The unemployment rate for software developers is between 4 and 5%, and even less in some specialties! I should note here that simple computer literacy in word-processing and spreadsheet programs or even CAD-design will not qualify you for one of these computer jobs. These jobs require specialized knowledge about computer science, information systems, and/or software programming. Now is the time to give your tweens and teens a foundation for a career in software development. Not only are jobs plentiful in the computer industry, but the salaries for these jobs are beating the current averages by a wide margin. A newly graduated computer science degree-holder can expect to early about $20,000 more annually than the average degree holder in other fields. We live in the digital age, and computers are here to stay. If your student is thinking about a career in computing, they'll have a world of opportunities waiting for them. Look at CompuScholar courses and give your son or daughter a head start in the computer programming field.